Back home in Brooklyn today! What was your first travel experience? What got you hooked? My first travel experience was in high school. My family pitched in and sent me to Europe for my 16th birthday. I hopped around visiting family and friends but made my way around Europe primarily by myself. That was really amazing, but I don’t think that’s what got me hooked. It actually scared me off, I was nervous a lot of the time. I wasn’t grown up enough to really understand some cultural subtleties. It wasn’t until later on after I finished art school that I really got hooked on travel. I started shooting pro-cycling sort of by accident. I went to Spain with a pro-team in 2011 and when the gig was over, I just stayed. I ended up living and traveling around Europe for 8 months with nothing but my camera gear and minimal clothes. I fell in love with all the movement. The high school I went to in Tucson, Arizona specialized in art. We were required to take a certain amount of classes in performance visual arts. Initially I chose pottery because I wanted to take what I thought was easy (it’s not), but my mom urged me to take photography. So I did, begrudgingly. But I totally fell in love with it! One of our assignments was to make a pinhole camera. Our teacher showed us how photography worked in its most basic form. He was one of those teachers that they make movies about. We had a full on studio with state-of-the-art equipment and it was honestly one of the most amazing photo facilities I’ve worked in. I attribute all my interest to that. 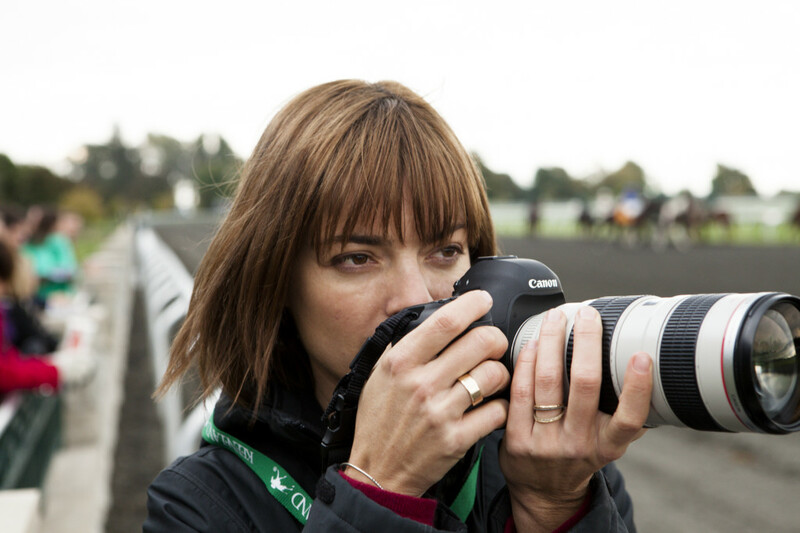 But it wasn’t until I started shooting that pro-cycling team in Europe that I really found my niche. It wasn’t the most lucrative business, but it bumped my career and gave me a lot of recognition really quickly. I had people looking at my work who didn’t know anything about pro-cycling but were still really affected and moved by it. From pro-cycling, how did you end up doing work for UNICEF? I was at the end of my savings during my travels in Europe and I had enough money for just a plane ticket somewhere. I got on Skype and made a really random gut choice to call this friend of mine who works for UNICEF to ask if they need a photographer. He called me back the next day telling me that I was hired for a project in West Africa for the Integrated Community Case Management (ICCM) program. It’s a community-based program for local community health workers providing services for childhood illnesses like diarrhea, malaria and malnutrition. I worked on a documentary project and covering their work has now become a regular gig. December 5, 2011. Niger, Region of Maradi/ District of Madarounfa/ Village of Tapkin Marké. 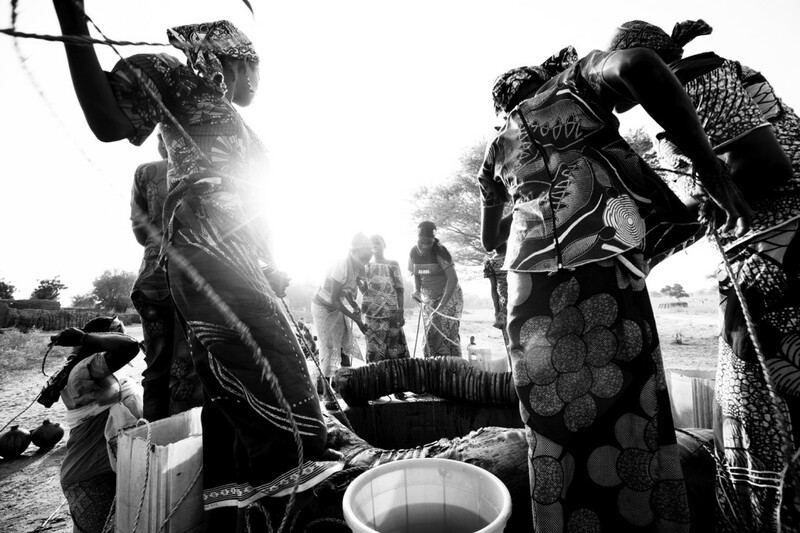 Women draw water from an 80 foot well at dusk. Women in rural Niger often work 16 hours days and young girls start helping with the worlk as young as 5 years old. Left to right: Labouda Achirou, 18 years, Habsou Daouda, 15 years. Where in West Africa did you go? I was initially hired on to shoot the project in Benin but then went back to West Africa to Mali and Niger. What was it like traveling to West Africa for the first time after spending most of your travels in Europe? It’s just completely different from what our Western senses are used to. Everything looks different, smells different. It was definitely shocking for me at first, especially landing in a big city. It’s very overwhelming but you just have to adjust. It’s easy to inflict your Western ideals on a culture or civilization, but it doesn’t work that way. You’ve got to get rid of that mentality. It’s incredibly dangerous. After the initial attack on the senses, the true personality and character of the place comes out. When you start to meet people and learn who they are and how they live, you realize that there isn’t that much of a difference. As a seasoned traveler, what travel advice do you have? Get off the beaten path as much as you can. Really try to explore as much as you can and ask lots of questions. I can imagine that’s what Operation Groundswell does naturally. But at the same time, don’t shy away from guided tours either. It’s great to sit back and do these things because you’ll also learn something you might not have ever learned. Someone may point out a building of importance that you would’ve walked right by. I think the best trips are where you do both and strike that balance. Oh, and pack super light!